Now that I have started to use Windows 8 and found ways to improve the way it works I have started to look for apps built for the Windows 8 start screen that are free. The Windows app store is filling up with more and more apps and there are some apps that really take advantage of the new Windows UI and some do not. I have come up with a list of some free apps for Windows 8 that I like so far. 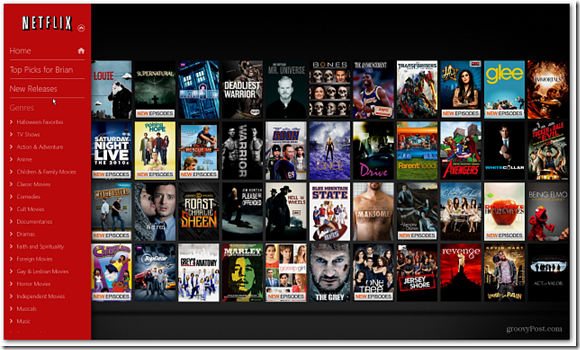 When I installed Netflix to Windows 8 I was expecting the app to be just like the web version and I was very surprised to see the Netflix app UI. 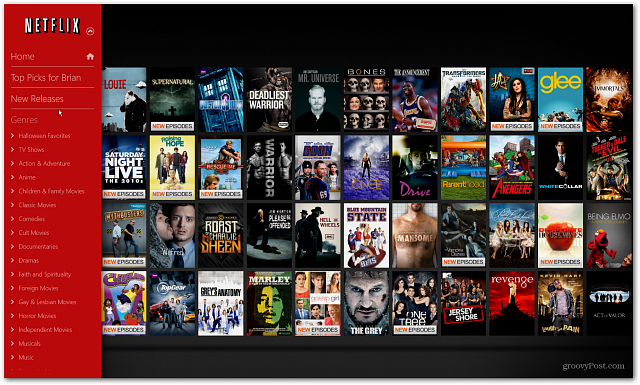 When you launch Netflix and log into your account you see an interface that is setup for you to scroll through videos with a flick or scroll of the mouse. The Netflix app seems as though it was designed for exactly its purpose of watching movies and TV shows. If you don’t have Netflix then the app won’t be useful, but anyone with a Netflix account should download the app and will enjoy the Netflix app on Windows 8. Skype is another app that I installed right away on my Windows 8 PC. 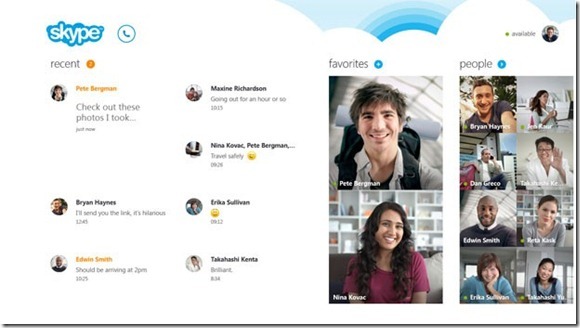 Skype app has a very cool UI and breaks up you Skype account showing pictures of your friends if they have pictures setup and your recent conversations. One of the things that I like about Skype is that you don’t need to have the app running all the time to appear online and when someone messages or calls you the Skype app will pop up with the call. 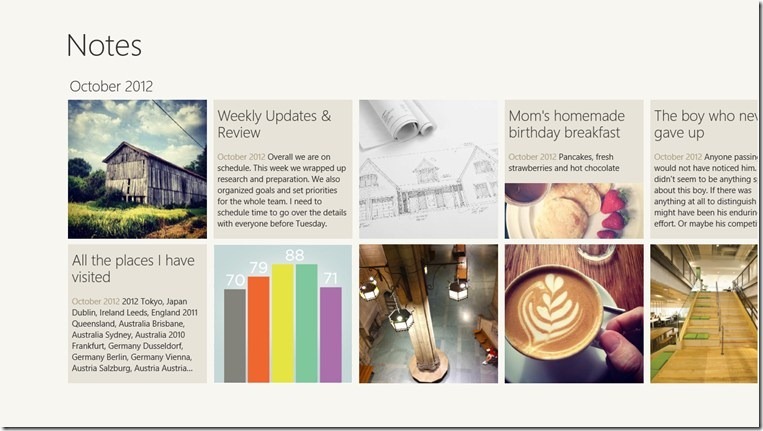 This is a great feature for Windows 8 tablets and PCs. I use Evernote to organize and store my notes and other document in the cloud and I really enjoy the way Evernote works. 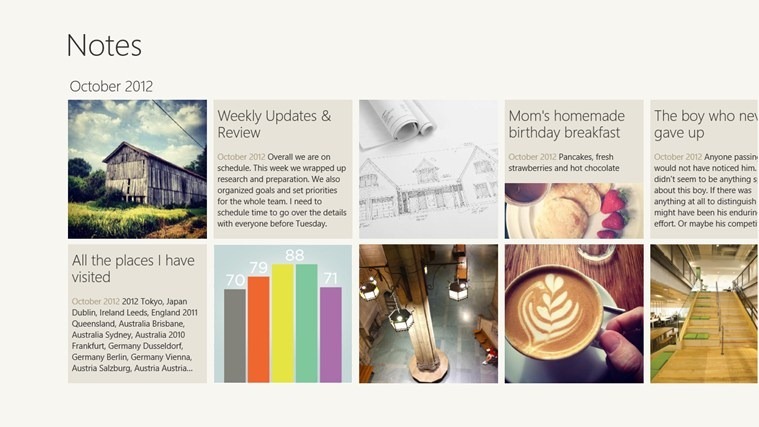 So I was happy to see that Evernote had developed an app for the new Windows 8 interface. The Evernote app is not like any of the other Evernote apps on other platforms the Windows 8 app is designed to follow the tile interface of Windows 8 start screen and it gives you a different view of what notes you have and looks better when the notes have photos. If you use Evernote on other devices then you will want to install the Evernote app for Windows 8. I always like having cool backgrounds on my computers and I change the background often so this app was perfect for me. 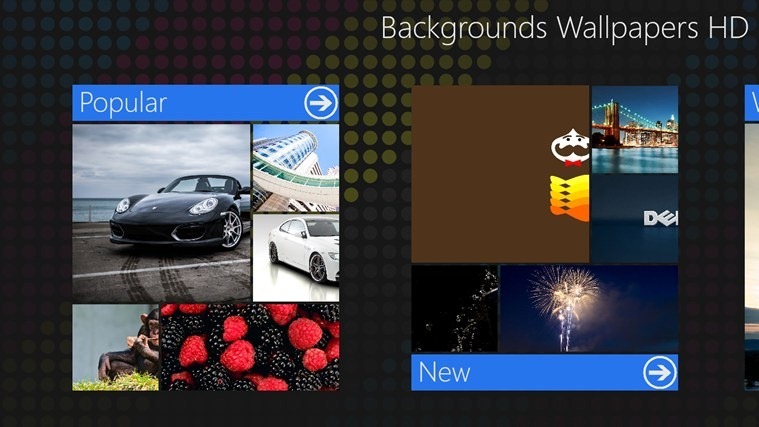 Backgrounds Wallpapers HD is a great free app with tons of different background pictures and the app has many categories for the pictures. One of the best features of this app is the ability to use any of the pictures you find as the lock screen background or as the user account picture. The app has a great slideshow display that lets you see the pictures before downloading. I would recommend Backgrounds Wallpapers HD app for anyone who likes cool new HD backgrounds. The ESPN ScoreCenter app is now available on the Windows 8 store and it seems like the best sports app available. The app displays live game updates, latest sports news, and ability to listen to ESPN podcasts, view game photos and watch video highlights. 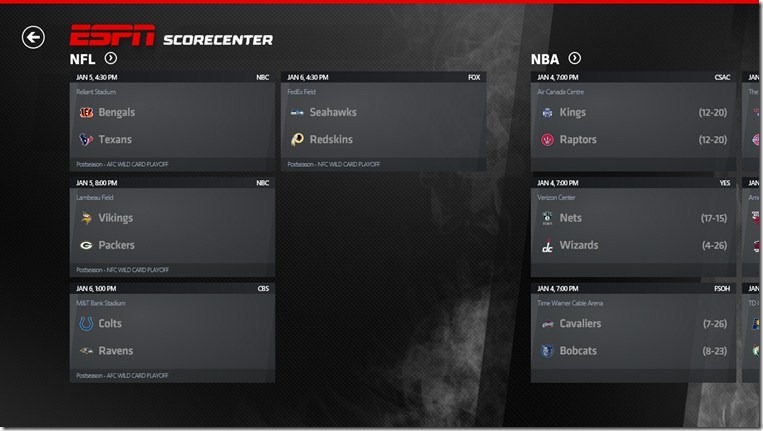 The Scorecenter app works great with Windows 8 live tiles and will display updates for scores and news depending on what you choose. 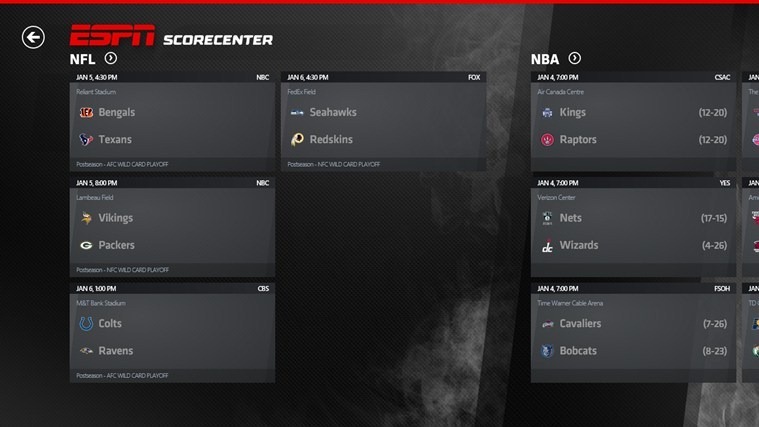 You can also login to the app and set your favorite teams and sports so that the app is geared to show what you want most before other scores and news. 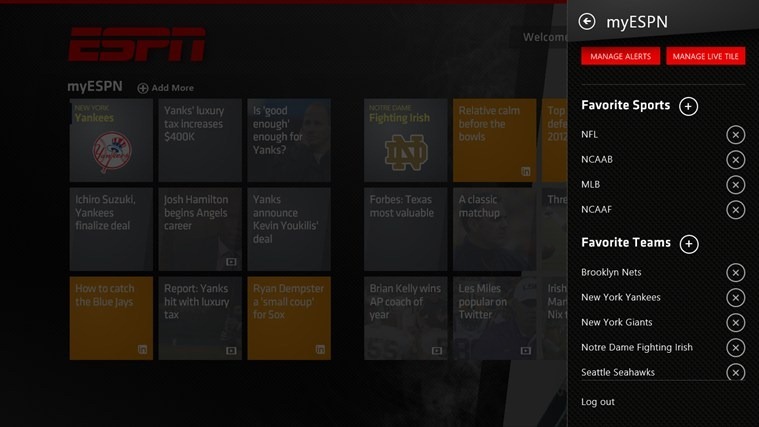 The ESPN Scorecenter is a must have Windows 8 app for anyone interested in sports. If you are like me you have become used to using Google to search for everything on the internet. 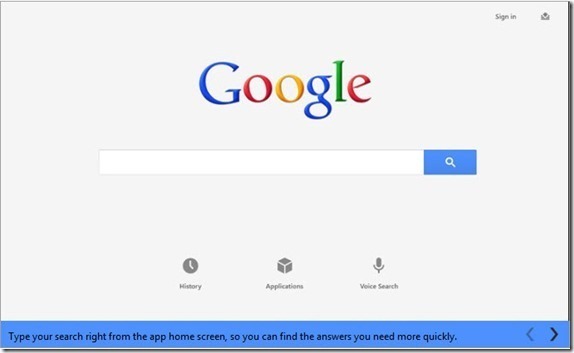 The Google Search app for Windows 8 offers all the features of Google search including voice search. One thing that it does different is you can choose to have the search show previews of the websites you are looking for to get a better idea whether the site is the right one. Google Search is a great app for anyone who likes using Google over Bing on Windows 8. To me these are the best free Windows 8 apps available so far, I am sure there will continue to be news apps developed for Windows 8. 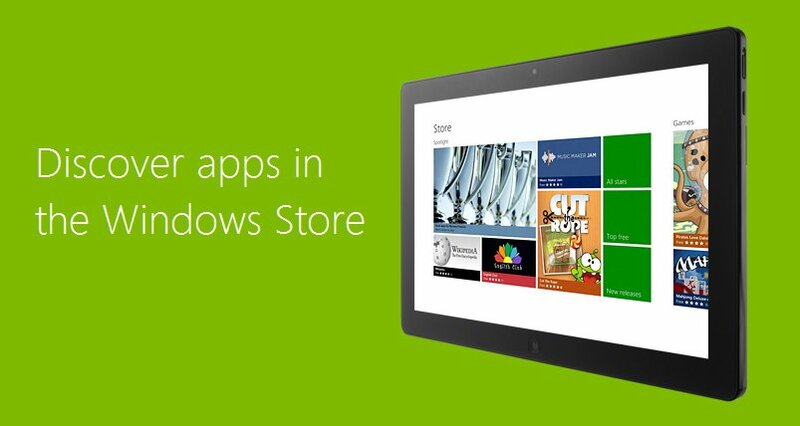 Some may think that I have skipped over a great free app for Windows 8 and let me know which apps you use. I will write a new list of free Windows 8 apps when I find more I like. 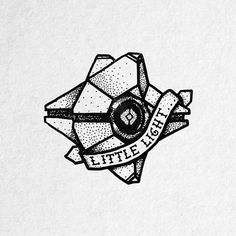 up is written by means of him as nobody else realize such specified about my problem.